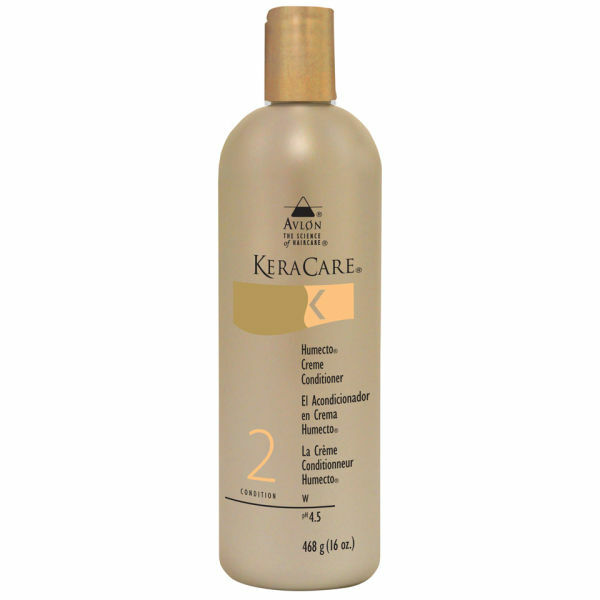 KeraCare Humecto Crème Conditioner is a high-performing hair treatment that will leave your hair infused with long lasting hydration whilst soothing and protecting your hair against breakage. Enriched with a relaxing and soothing fragrance, the conditioner corrects and prevents moisture loss that is caused by exposure to chemical and thermal styling appliances. The unique and ultra conditioning formula of this conditioner improves the surface porosity of hair, resulting in improved manageability and softer hair texture. Aqua/Water/Eau, Glycerin, Polyquaternium-37, Dimethicone PEG-7 Isostearate, Propylene Glycol Dicaprylate/Dicaprate, PPG-1 Trideceth-6, Cetearyl Alcohol, PEG-40 Castor Oil, Stearalkonium Chloride, Quaternium-80, Dimethicone, Panthenol, Propylene Glycol, Lamium Album Flower Extract, Pinus Sylvestris Cone Extract, Arctium Lappa Root Extract, Anthemis Nobilis Flower Extract, Rosmarinus Officinalis (Rosemary) Leaf Extract, Hedera Helix (Ivy) Extract, Arnica Montana Flower Extract, Nasturtium Officinale Extract, Allium Sativum (Garlic) Bulb Extract, Calendula Officinalis Flower Extract, Tilia Cordata Flower Extract, Centaurea Cyanus Flower Extract, Chamomilla Recutita (Matricaria) Flower Extract, Hypericum Perforatum Extract, Fragrance/Parfum, Amyl Cinnamal, Benzyl Salicylate, Butylphenyl Methylpropional, Benzyl Benzoate, Citronellol, Hexyl Cinnamal, Glutaral.